Dr. Ashley Tary was born and raised in the St. Louis area. 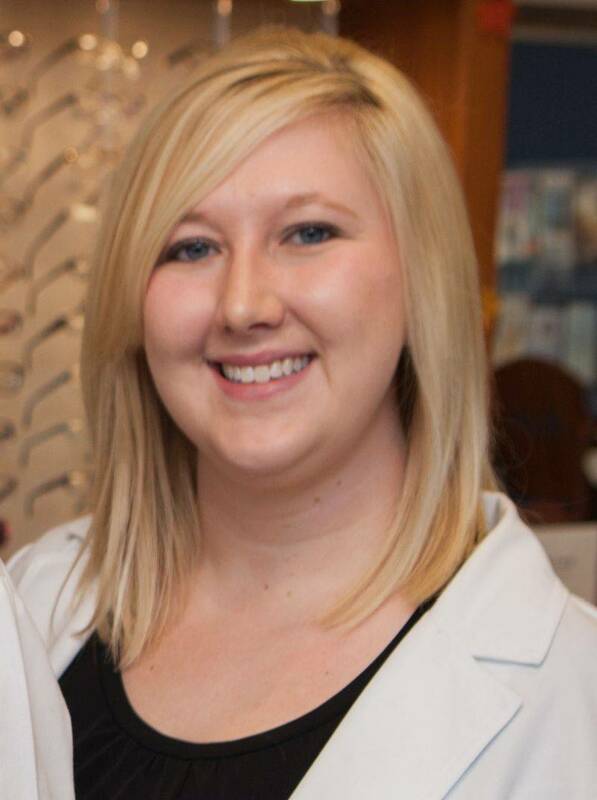 When she decided to pursue her passion for optometry, she chose to attend the University of Missouri-St. Louis where she enrolled in the 3+4 accelerated program. She graduated in 2014 with honors. Dr. Tary is currently a member of the American Optometric Association, Missouri Optometric Association, and St. Louis Optometric Society. Dr. Tary thoroughly enjoys practicing optometry with special interests in contact lenses, pediatric vision, and treatment and management of ocular disease, including cataracts, glaucoma, macular degeneration, and diabetic retinopathy She looks forward to personally getting to know each patient while providing the highest quality comprehensive eye care in the community where she grew up. Currently, Dr. Tary resides in Cedar Hill with her husband and high school sweetheart Chris. Chris has worked for Schnucks pharmacy for the past 8 years. Together, they enjoy spending spare time with family and playing outdoors with their dogs.